There are numerous mind-blowing Things to do in Andaman! This quaint island nestled in the Indian Ocean is a very popular year-round tourist destination. It has on offer an abundance of white sandy beaches, turquoise lagoons, bright sunny days with occasional bouts of rainfall and pleasant tropical weather all year round. If you are travelling from the northern hemisphere, you can visit during summers do escape the cold, harsh winter and vis-a-vie during winters do escape from the sizzling hot weather. It’s the ideal location for a fun family vacation or a romantic getaway with your significant other. Some of the amazing things to do in Andaman include watersports nature walks, sunset viewing, seaplane rides, swimming with elephants to name a few. 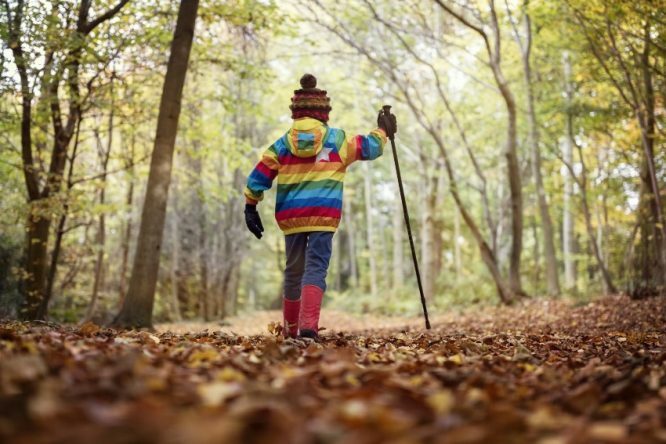 While winters (October-May) are best suited for a family vacation as the island is bustling with people and you can enjoy a host of indoor and outdoor activities. Winters are best suited for a romantic holiday as there are fewer people on the island, and the overall vibe is quite chill and relaxing. Just refer to this Things to do in Andaman before finalising your itinerary. You are guaranteed a memorable holiday even if you get through half of the list. But no matter what you leave out, don’t forget to catch the scintillating sunsets and sunrises. 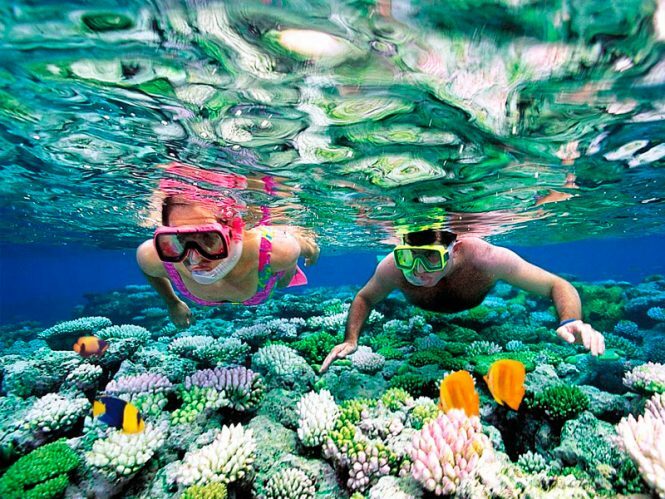 If you haven’t had a chance to go snorkelling yet, well now is your lucky chance. This exhilaration water sport makes it to the top of our things to do in Andaman list. Snorkelling gives you the opportunity to catch some rare glimpses of thrilling marine life, coral reefs; you wouldn’t otherwise. And the best part is it that you can get the whole thing recorded as well as get some amazing underwater shots of yourself. Perhaps one of the most exhilarating things to do in Andaman would be to witness one of nature most blissful delights, i.e. 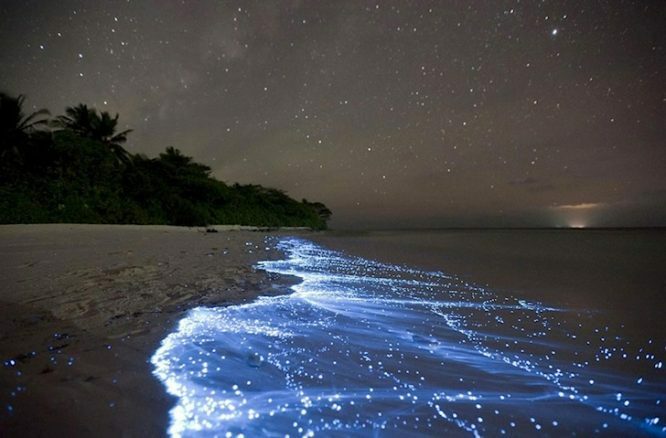 Bioluminescence.There is an abundance of bioluminescence along the beaches at Havelock Island one of the many places to visit in Andaman; the only trick is that you must be there on a moonless night. You can find this natural wonder on the beached or book kayaking tours for a more up-close encounter. Just in case you are wondering, no you don’t need to know how to swim to enjoy scuba diving. All you need is an expert guide and some hour-long lessons on what to do and of course not to do. So, don’t let your fears hold you back or else you will miss out on a thrilling activity. Scuba diving in Andaman gives you a chance to enjoy the beautiful marine life, coral reefs and underwater photography/videography. This is a fun family activity and safe for adults and children alike. It does not matter whether you are looking for Andaman Tour Packages for families or couples, scuba diving is something you can do with everyone! 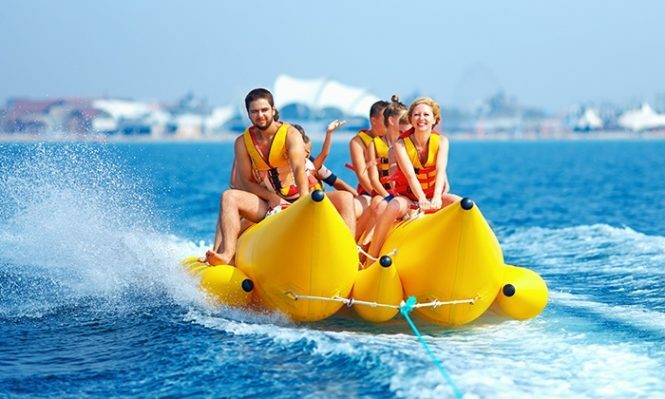 Probably one of the most fun things to do in Andaman would be the famous banana boat ride. 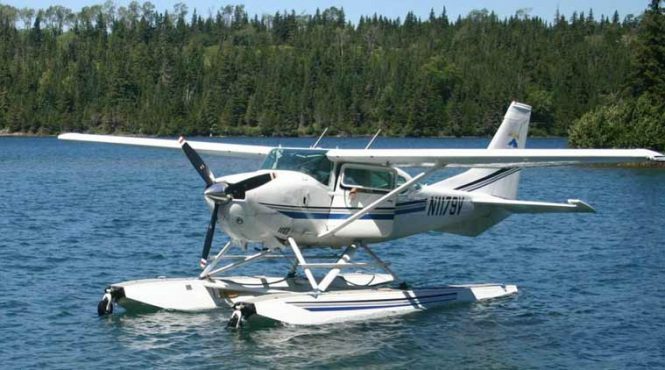 This activity is safe, cheap and most importantly fun for the whole family.There is an instructor on board; you are giving a full safety briefing and provided with life jackets and all other necessary safety gear. You can enjoy these rides as many times as you like and almost anywhere on the island. Other water sports activities include speed boating, jet skiing and kayaking. If you want to see the amazing marine life and coral reefs, without getting wet, then might we suggest booking yourself a glass bottom boat ride. If you have a fear of water or just want to stay dry, then this is probably the activity for you and your family. Its safe, cheap and suitable for all ages. This activity is apt to satisfy the adrenaline junky within yourself. 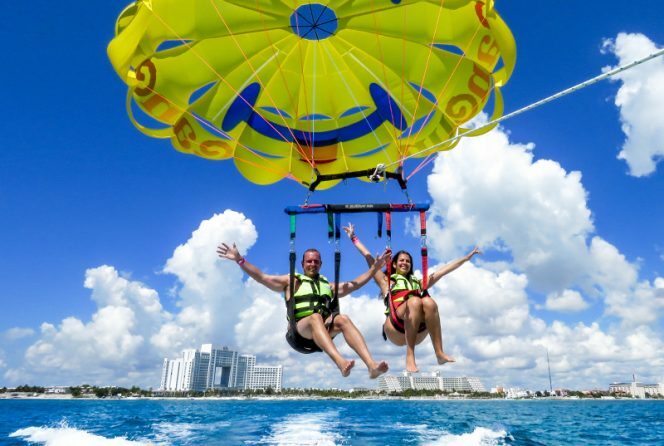 Parasailing is best of both worlds as you enjoy an all in one water and air-based activity. The activity is very safe, you are provided with all the necessary safety gear as well as given a full briefing. If you want seaplane rides at night without burning a hole in your pocket, we suggest doing so at the Andaman Islands. The tiny plane cruises at a high altitude and you can enjoy some breath-taking views of the sprawling landscape. The plane can take up to 9 people at a time, and the ride is about 15 minutes long. 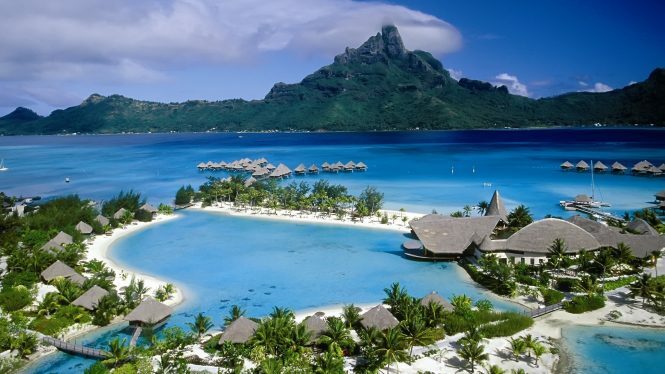 Do check out our Andaman Tour Packages to get the best deals for rides. If not anything, you simply must go Island hopping when in Andaman, because really what else is there to do! Island Hopping is an essential thing to do in Andaman. It just ties the whole holiday experience together. You can island hopping tours via your travel agent or from a local agency. It’s an excellent way to spend a fun day with the whole family. One of the essential parts of visiting a new place is to learn about its culture and history. 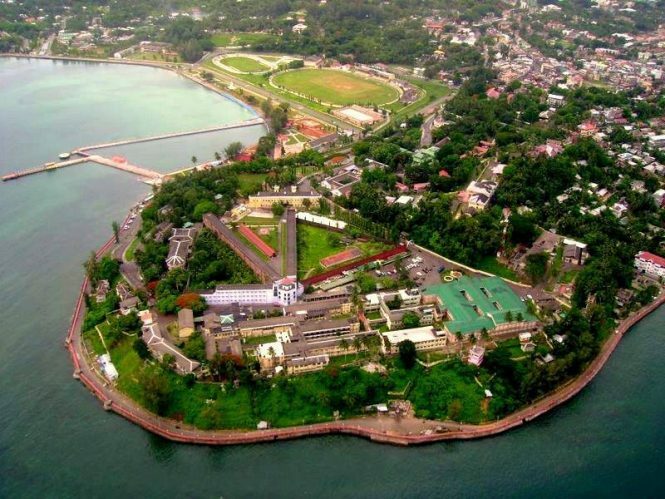 And to so just that you must visit the Cellular Jail in Port Blair. The jail has a dark past as it was once a colonial prison and is a dark reminder of British rule in India. None the less, it’s a must-visit tourist attraction and makes sure you stay for the light and sound show voiced by veteran actor Om Puri. If you haven’t had enough of fun and adventures activities, then you can embark on a thrilling trek from the third highest peak on the Island AKA Mt. Harriet. 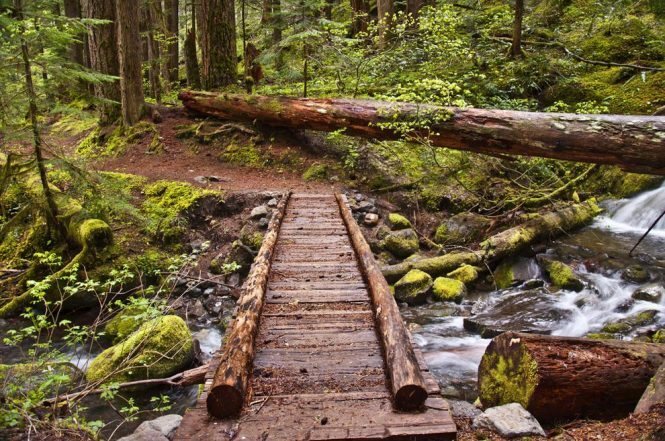 Along the rugged paths of the forest, you get to see and learn about the diverse flora and fauna of the region. The trek is a great opportunity to click some breath-taking photographs as well as enjoy some scenic views along the way. Rubber plantation is must visit when in Andaman and the best way to explore them is by going on a relaxing and enjoyable nature walk. You can explore individually or book a tour of the plantation. These guided tours are a terrific way to learn about rubber manufacturing process. If you thought the natural wonders of Andaman were limited to just bioluminescence, then you were happily mistaken. 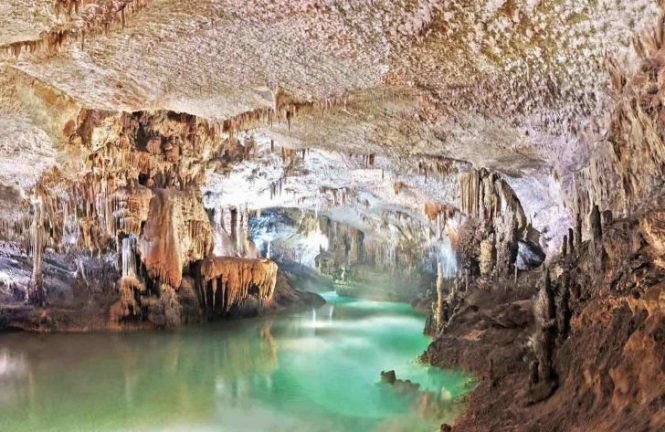 Another fascinating natural phenomenon on the Island are the limestone caves. These intriguing caves are millions of years in the making and exploring them has got to be one of the best things to do in Andaman. You have to book a tour to visit these caves, please don’t think about exploring them on your own. 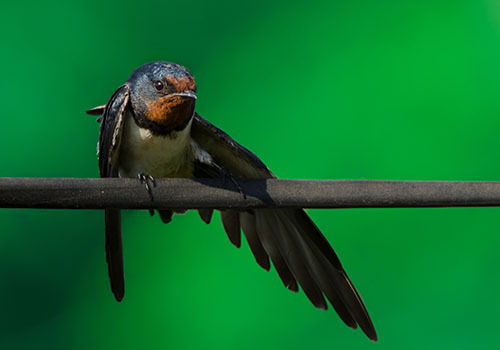 Bird watching is a very popular activity to do in Andaman. The best places to go bird watching is the village of Chidiya Tapu (meaning: Island of Birds) located 25 KM from Port Blair. There are several species of birds on the island such as seas eagles, emerald dives, parakeets among many others. Make sure you carry your cameras and keep your volumes low when exploring, or else you may scare away these amazing creatures. 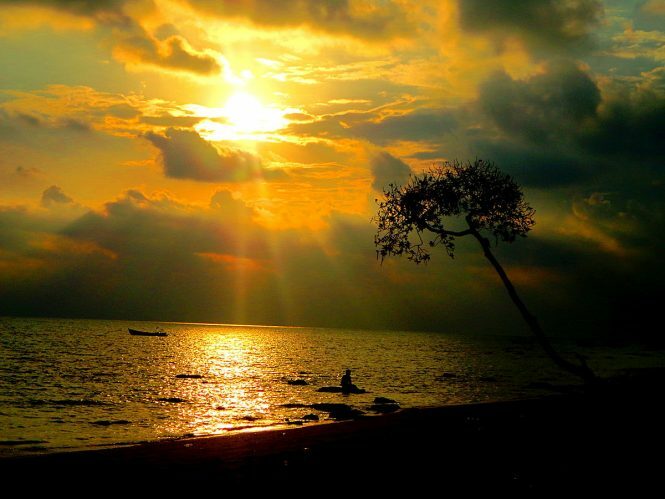 Probably the most romantic Andaman Attractions would be to view the gorgeous sunsets and sunrise. Unfortunately, urban development and our busy lives have robbed us the opportunity to enjoy these simple pleasures on a daily basis. Never the less, that’s what vacation is for, and Andaman does not disappoint. There is an abundance of places on the island where you can go to view uninterrupted views of the gorgeous sunsets and sunrises. 1. What are the 14 thrilling things to do in Andaman? 2. What is the best time to visit Andaman? The best time to visit Andaman is between October and May. Although, you can visit the island all year round, regarding whether these are the best months. 3. What local handicrafts can you buy in Andaman? Things to do in Andaman - Andaman is a breath-taking Island with panoramic views and a beautiful landscape that seem like they are straight out of an HD movie. This quaint island nestled in the Indian Ocean is a very popular year-round tourist destination.